Mountain climbing, rock climbing and ice climbing all require highly specialized tools and skills combined with a large dose of strength, stamina and courage. When you are heading in to the big mountains such as Canyonlands, why leave weather to chance when a flash rain storm can leave you stranded? Know the weather before it arrives with a climbing watch like the Suunto Vector or Casio Expedition. The sheer beauty and the sense of accomplishment in all three types of climbing are enormous, but so are the risks. Mitigate the risks of incoming weather with a barometer watch. Know which direction you are headed with a compass watch. Know the precise vertical feet ascended or descended with an altimeter watch. What are the Contenders for the Best Watches for Mountaineering? The Garmin fenix is a big, burly, ruggedly handsome watch. This is not your nerdy, bright yellow GPS belt hanger screwed onto a rubber wrist strap. It is sophisticated, smooth, well designed and one of the more attractive GPS ABC watches we’ve seen. Wearing the fenix proclaims rather loudly that not only does the wearer have good taste and a superior design sensibility, but he or she knows where they are, where they’re going, and how to get back from where they went. At least that’s the feeling we got while cruising through our day with the fenix on our wrists. Updated: The Garmin Fenix model has been refreshed with Garmin Fenix 2. Compared to its predecessor, Garmin Fenix 2 boasts many advanced features such as Fitness Training, Running Dynamics, Ski Mode, Swim Mode and Stay Connected. It is now available for purchase at Amazon. 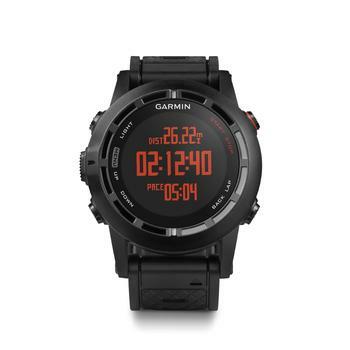 You can’t really go wrong with the Garmin Fenix – with its unbelievably strong built, it can last whatever rough activity you have in your itinerary. It is one of the best GPS ABC watches in the market right now and for good reason. You don’t have to think about having your wristwatch getting broken because Garmin Fenix is truly built to last. 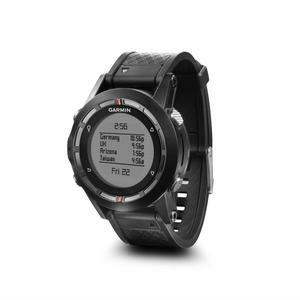 A gem for tri-athletes and Ironman entrants, but reasonably impressive for walkers and trail runners, too, this fabulously made and functional GPS watch’s 15-day battery appeals to us. 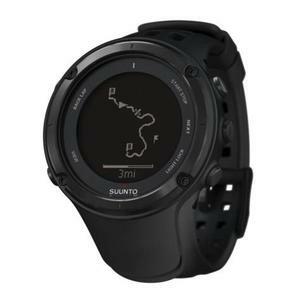 As well as being easy to use despite the myriad options, the PC and Mac software makes customizing, updating, syncing and fetching data from the Suunto Ambit 2 S so simple. Kudos to Suunto for its choice of application, which made it popular with the fast working and multitasking abilities. It’s so adaptable and customizable that it’s a bit like a universal remote control, though it’s strictly for outdoor types. With its high-tech innovations, the Suunto Ambit 2 proves to be a great watch for mountaineering. Considering the fact that mountaineering is quite unpredictable in terms of days spent on the mountain and unexpected events/happenings – a reliable watch that can last and withstand a rough lifestyle. With its matte black band and case, coupled with its dark grey face and white hands and markers, it is an understated watch. 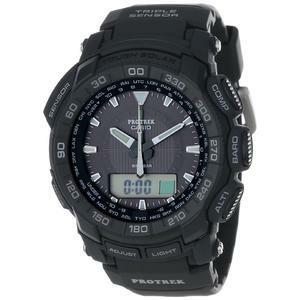 The dark color scheme makes Casio Pro-Trek PRG550-1A1 very versatile in the fact that it doesn’t scream for attention while also not seeming to try too hard to be “stealth”. The inclusion of an analog watch face coupled with a digital face adds a touch of class and maturity which greatly prevents the watch from coming off as cartoonish or childish. Wearing the watch out in the city or in the outdoors, I do not find it embarrassing for an adult to wear this watch out in public. When I had received the watch, I was wearing my Seiko Black Monster, and I used it to make a few comparisons. First, while the Casio is much bigger in case size, on the wrist, it doesn’t feel uncomfortable because of the taper at the lugs on either ends of the case. It is also MUCH lighter. The size and weight of the Casio Pro-Trek is very optimal for mountain climbing. It provides the perfect balance between functionality, style, and convenience. This is the reason why it is one of the favourite watches of sporty individuals. At the end of the day, you are still in charge of what watch to get. These three watches are some of the best watches for mountaineering – but it’s still up to you if you want to purchase any of them. It is very difficult to find a tough watch that can survive a rugged mountaineering experience but these three listed above will definitely be good choices for you. Make sure that you have one of these wrapped around your wrist on your next mountaineering event! Looking for more tough watches idea? If you are in for a style but tight on budget, check out our pick of the toughest analog watches. If you are in for a style and loose on budget, check out which watches we considered as the best ‘beautiful beast’.